The exploration of what lies in our stars has long been a fascination for humankind. From the advent of the telescope to the recent trend of space settings in major Hollywood blockbusters, the final frontier holds many mysteries for kids and adults alike, so it is no surprise that it is featured in a lot of well-known movies. 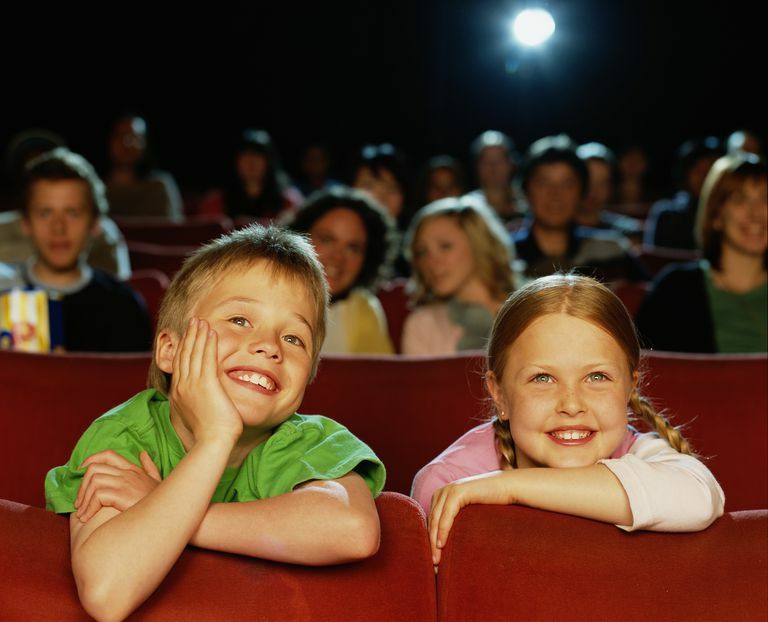 And although not all movies set in space, like "Gravity," or "Alien," are appropriate for children, the following list of movies take place outside the earth's atmosphere while maintaining appropriateness for kids. Explore the list and blast off with your young astronauts on fantastic space adventures in this great films and videos. Outer space has never been so close. In this series of IMAX space documentaries, brilliant photography, and video from our galaxy combine with dynamic narration to introduce the whole family to the mysteries mankind has unlocked about the universe. Featuring "Hail Columbia," "The Dream is Alive," "Destiny in Space," "Mission to MIR" and "Blue Planet," this series' style may not hold the attention of younger audiences, but kids and adults alike will enjoy seeing some of the most brilliant images known to man. 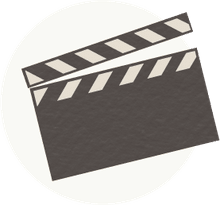 These documentaries contain great videos of space and a wealth of information about space stations, planets, the space program and much, much more! An adventurous young housefly named Nat and his pals IQ and Scooter become part of history as they hitch a ride on the extraordinary Apollo 11 mission in this 2009 animated feature. Not only is the story entertaining for kids, but it is also educational. The story highlights man's first walk on the moon, and Buzz Aldrin even voices his own character. The DVD contains both the 3D and 2D versions of the film, so kids who don't want to put up with the glasses can still enjoy the movie. Loosely based on the picture book by Berkeley Breathed, "Mars Needs Moms" tells the story of Milo, a boy who jumps aboard a Martian spaceship to save his kidnapped mother. On Mars, Milo finds a friend in Gribble, a human whose mom was taken when he was a boy. The two work together to try and free Milo's mom before it's too late. "Mars Needs Moms" is animated using performance capture, and the Blu-ray contains some fascinating behind-the-scenes features. A warning: due to the plot point of the mother getting kidnapped, this may not be great for children under 7. Some kids who are younger may not be bothered by this, but to a lot of them, the prospect of mom getting kidnapped and possibly vaporized is not a happy thought! In this fun animated feature, Ham III, great-grandson of the famous Ham, the first chimp to travel into space, is called on a critical mission with two other chimps from the Space Agency. The three astronauts find a new planet and must save the exciting inhabitants from their power-hungry dictator. An animated story about chimpanzees in the space program is not a been-there-done-that experience, and it pays tribute to the real Ham, the first chimpanzee to go into outer space. Kids will love watching three chimps discover a new world and attempt to help its inhabitants. Because some franchises don't deserve to end, Disney's "Space Buddies" brings back the 1990s theme of a golden retriever doing remarkable things. But this time, there's more than one! When the adorable pups know as the Buddies follow their owners on a school field trip to the space center, the dogs embark on a significant journey than they had planned. The puppies climb on board a new rocket plane, but as they’re playing an astronaut, the ship blasts off. The Buddies are launched into space on a ship destined for the moon! Recommended for ages 4 and up, this movie is sure to delight with its furry tale of interstellar adventure. Disney's smash hit "Wall-E," tells the story of a trash-compacting robot left on earth after all of the humans had left the garbage-filled planet. WALL-E may be a robot, but he is full of heart and growing rather lonely on the forgotten planet. The film tells a story that is supremely unique, clever and uplifting. The movie involves space because all of the humans are living on a massive ship in space. WALL-E even takes a comical little float through space during one scene in the movie! This movie has it all: laughter, tears, and hope for the future. It carries with it an essential message for humankind to take care of our most precious resource: the environment. When Danny’s father leaves the brothers in the care of their older sister Lisa, played by "Twilight" star Kristen Stewart, Walter won’t give his brother the time of day. Danny ends up in the basement of his father’s house, where he finds an old metal game called “Zathura.” Unable to convince Walter to play with him, Danny begins on his own, but it doesn’t take the brothers long to figure out the game is not playing around. Although the concept of "Zathura" has been done before in "Jumanji," the outer space twist is exciting. The action and adventure are high in this film. Kids aged 7 and older, especially boys, will love it! This animated story from what is probably the most famous space saga in history is geared slightly more toward kids than the other movies in the franchise. Still, "Star Wars: Clone Wars" contains violence and thematic elements similar to what we see in the live-action movie but the animation makes the scenes less realistic. The film picks up just after "Episode II," and fills in some of the events that occurred during the Clone Wars. Kids who are fans of the "Star Wars" saga will enjoy seeing more of the events play out, but it's recommended for audiences 8 and older due to the cartoon violence depicted.